SPRINGFIELD – Illinois voters may get the chance to let their voices be heard on the subject of the legalization of cannabis under legislation passed out of committee in Springfield this week. The legislation, Senate Bill 2275, would place an advisory question on the 2018 ballot asking Illinois voters if they are in favor of marijuana legalization. State Senator Bill Cunningham, the sponsor of the measure, says the advisory question will help legislators gauge the public’s opinion on the subject. Most states that have legalized recreational use of marijuana have done so through ballot initiatives. The proposed referendum would ask voters to vote “yes” or “no” on this question: "Do you support the legalization of possession and use of marijuana by persons who are at least 21 years of age, subject to regulation and taxation that is similar to the regulation and taxation of tobacco and alcohol?" A series of legislative hearings on marijuana legalization have been held recently by State Senator Heather Steans and State Representative Kelly Cassidy. Testimony has been provide on the effects legalization might have on public health and the criminal justice system, as well as on the possibility of new revenue being generated through taxing the sale of marijuana. CHICAGO – An area state legislator is joining a south suburban family in their fight against lung cancer. State Senator Bill Cunningham will join the Piet family from Tinley Park for the Hustle Up the Hancock event held in downtown Chicago by the Respiratory Health Association. Cunningham was inspired by young Ian Piet, who lost his father to lung cancer in 2015. 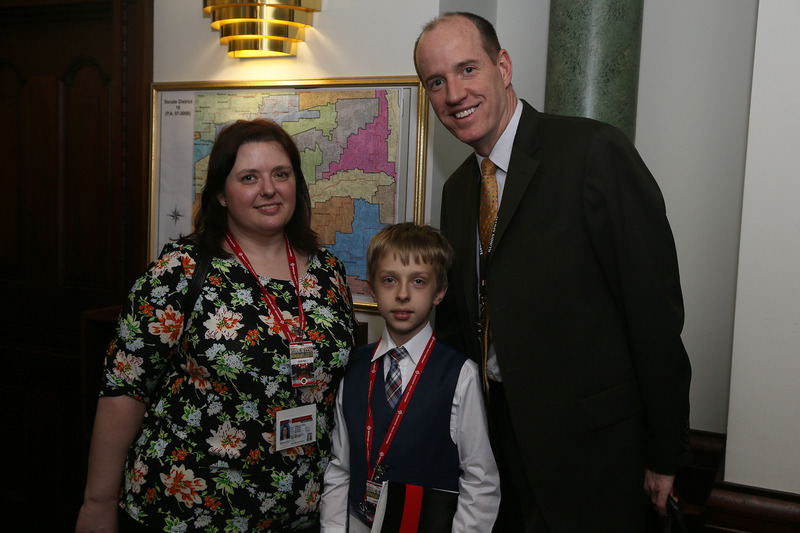 Witnessing the battle motivated Ian and his mother Holli to become advocates for a cure for lung cancer and other respiratory diseases. This will be the second year in a row Cunningham has joined Piet on the 94-story climb up the John Hancock Building to raise awareness and funds to find a cure for lung cancer. This year’s event is scheduled for Feb. 25, 2018. 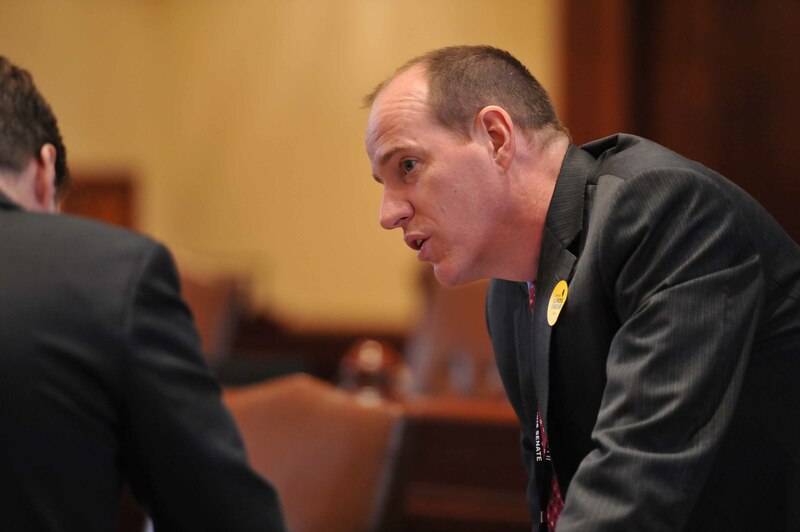 SPRINGFIELD – The Illinois Senate passed legislation today ending Illinois’ participation in the controversial Interstate Voter Registration Crosscheck Program. The program, called Crosscheck for short, is intended to check if people are registered to vote in multiple states. However, the program is prone to cybersecurity concerns and has been used to suppress minority voters by purging valid voters from voter rolls. In response, legislation was filed in Springfield that would require Illinois to use the Electronic Registration Information Center (ERIC) instead of Crosscheck. ERIC uses tougher security protocols and more information to guarantee that personal information is correct and safer from hacking. State Senator Bill Cunningham was the measure’s chief co-sponsor. The measure now goes to the House of Representatives. CHICAGO – Amid rising concerns about data security and voters being wrongfully removed from registration rolls, State Senator Bill Cunningham chaired a joint committee hearing Wednesday to examine the Illinois State Board of Elections use of a controversial national voter registration database known as "Crosscheck." At a joint hearing of the House Elections Committee and the Senate Telecommunications and Information Technology Committee, legislators grilled election officials over the many problems associated with the Interstate Voter Registration Crosscheck, a registration system that compares state voter rolls. Published reports have raised questions about the system's susceptibility to hackers, while others have argued the system has been used as a vehicle to suppress minority voters in jurisdictions outside of Illinois. 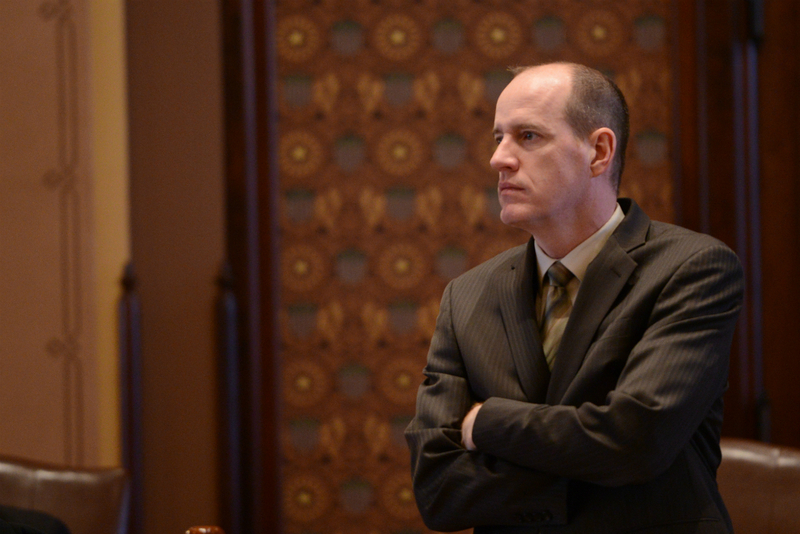 "Illinois residents need to be confident that the personal information they submit when they register to vote is secured and protected from internet hackers," Cunningham said. "Because numerous doubts have been raised about the security of Crosscheck, it is time for the Board of Elections to reconsider their use of the system." 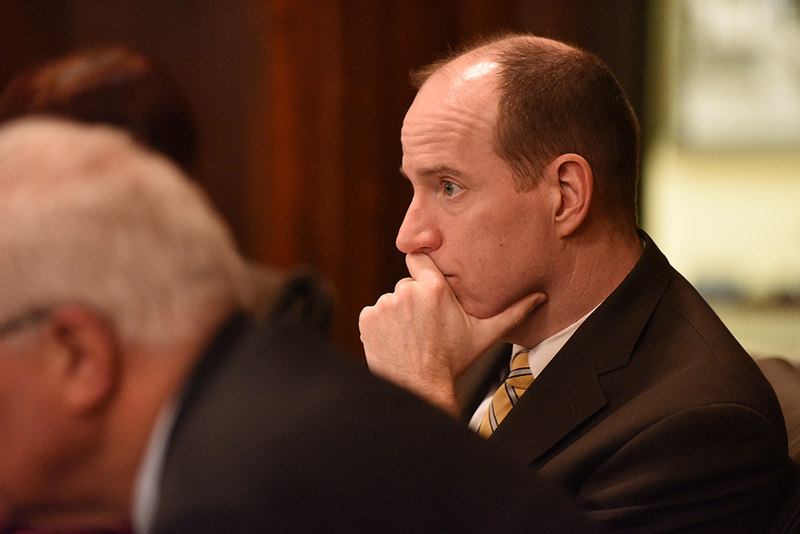 The joint committee heard testimony from Shawn Davis, a faculty member at the Illinois Institute of Technology Center for Cyber Security and Forensics Education. Davis testified that the Crosscheck system has several security concerns that make private personal information easily accessible. While most websites handling sensitive information use secure file transmission networks called SFTPs, Crosscheck uses an unsecured network system. Additionally, many voting rights activists say that Crosscheck is a vehicle for discrimination at the voting booth. This is because Crosscheck compares first and last names of state voter databases, ignoring middle names and designations like Jr. or Sr. This is viewed as problematic by experts because communities of color are more likely to share last names, making them easy targets for voter suppression. In one example reported by Rolling Stone Magazine, the state of Georgia had 357 individuals registered to vote under the name “James Brown”. Crosscheck did not denote the difference between James W. Brown, James A. Brown or James C. Brown meaning those 357 voters could have been stopped from voting because of the program. The Illinois Board of Elections currently subscribes to two national voter database systems designed to help election authorities identify voters who may be registered in more than one state: Crosscheck and the Electronic Registration Information Center (ERIC) The state board is scheduled to discuss their use of Crosscheck at their monthly meeting on November 20.